TORONTO, October 19, 2018 – The U.S. Public Company Accounting Oversight Board (PCAOB) has agreed to an offer of settlement by Deloitte Canada. The PCAOB has ordered a fine of US$350,000 finding its audits of Banro Corporation, a Canadian gold mining company operating in the Democratic Republic of the Congo (DRC), were impaired over a three-year period. Deloitte Canada “in effect audited its own work,” according to the PCAOB, which also ordered the accounting firm to undertake independence training and a review of its independence policies and procedures. 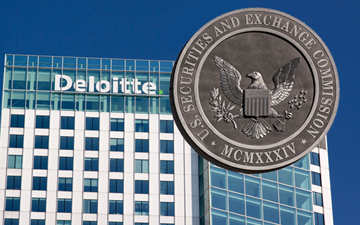 The firm must submit a written report of the review within 90 days of the order and provide a certificate of compliance signed by Deloitte LLP’s chief executive officer to the PCAOB within 120 days. The case began in November 2012 when Deloitte South Africa acquired Venmyn Rand (Pty) Ltd., a mining services consultancy business based in South Africa, and changed its name to Venmyn Deloitte. In early 2012, prior to its acquisition, the managing director of Venmyn Rand prepared a technical report on a gold mining operation in the Namoya region of the DRC operated by Banro. Banro recently emerged from creditor protection after delisting on the Toronto and New York stock exchanges. The beleaguered operation was the target of kidnapping and killings in an escalation of violence between local militia groups and government forces. Because the company was registered for trading on the NYSE market, its financial reporting fell under the Sarbanes-Oxley Act of 2002 and PCAOB rules. Deloitte Canada issued audit reports on Banro's financial statements for the 2012-14 fiscal years and the firm’s audit reports were filed with the U.S. Securities and Exchange Commission. The PCAOB accepted Deloitte Canada’s offer of settlement and consented to the institution of disciplinary proceedings without admitting or denying the findings. In a statement issued by the accounting firm, “Deloitte Canada and US Public Company Accounting Oversight Board (PCAOB) have agreed to settle a matter related to independence violations that occurred in connection with three audits of an issuer client. “The matter had no impact on the client’s financial statements or the audit opinions on those financial statements. Deloitte Canada made judgments at the time on the application of the independence rules. The PCAOB has concluded that these judgments were not consistent with the independence rules. Deloitte Canada accepts that conclusion. By Canadian Accountant staff with files from the Public Company Accounting Oversight Board.